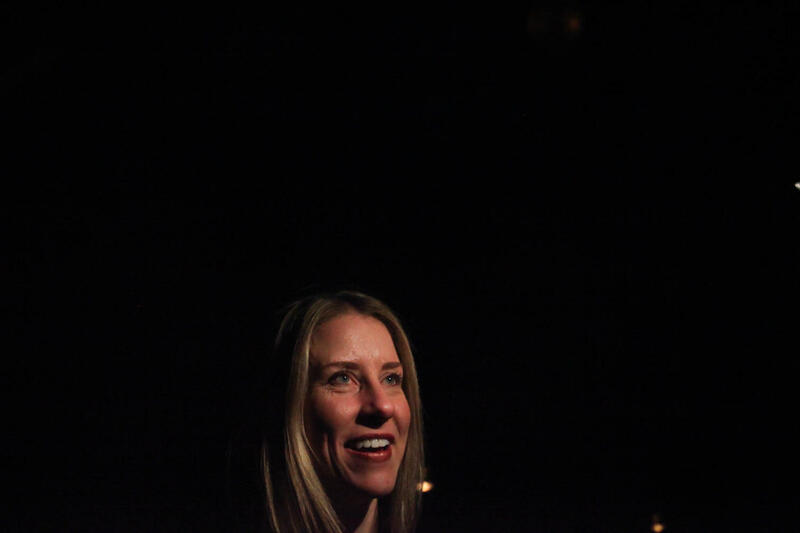 Independent candidate Erika Strassburger will succeed Dan Gilman on Pittsburgh City Council after District 8 voters handed her a decisive victory Tuesday. Strassburger finished with 64 percent of the vote, more than double her closest opponent, Democratic nominee and East Liberty restaurant owner Sonja Finn, who finished with 28 percent. Poll workers Tuesday said it was a slow day for the election following Gilman’s Jan. 3 resignation to serve as Mayor Bill Peduto’s chief of staff. Turnout when polls closed at 8 p.m. was at 14.48 percent, with Strassburger winning the election by 1,696 votes overall. In her victory speech, Strassburger thanked her volunteers and supporters and reaffirmed her belief that working within communities is the way to success. Strassburger’s victory marks the first time a woman will represent District 8 in Pittsburgh’s City Council, which encompasses parts of Oakland, Shadyside, Point Breeze and Squirrel Hill, and represents 31,982 registered voters, according to the Allegheny County Elections Division. Most projections had Strassburger or Finn beating Marty Healy and Rennick Remley, independent and GOP candidates, respectively. Strassburger and Healy both ran for the Democratic nomination, but filed as independents after the party picked Finn. As the first woman serving District 8, she hopes she can encourage other women and young women to pursue political careers. Despite Finn’s endorsement from the Democratic party, she couldn’t pull ahead of independent Strassburger, who served as Gilman’s chief of staff before he resigned and who has since been fulfilling the duties of office. She’ll continue those duties with vigor, she said. “I don’t want to lose sight of the big-picture messages and big-picture ideas that I have,” Strassburger said, mentioning managing growth effectively in District 8 and implementing solutions for Pittsburgh Water and Sewage Authority’s lead problem. For Strassburger, “managing growth effectively” deals with the question of how the city should respond to gentrification and growing inequity. Strassburger raised more than $140,000 since January for her campaign, compared to Finn’s roughly $30,000 – a difference that did not go unnoticed. Strassburger told KDKA in February that she was proud of her fundraising, saying it demonstrated a diverse range of supporters. But Finn questioned it, saying the disparity undermined the democratic intentions of elections. She noted major contributions to Strassburger’s campaign including property developer Walnut Capital, which owns the Bakery Square development and recently requested city permission to expand Bakery Square three stories higher than current city ordinances permit. One of Strassburger’s most high-profile supporters was Mayor Bill Peduto, who broke with the Pennsylvania Democratic party and officially endorsed her against Finn. Peduto said he has known Strassburger for more than 10 years, and is confident that her background as an environmental activist and community organizer will aid her as a council member. Strassburger doesn’t plan on slowing down, saying her upcoming responsibilities are just as urgent as Election Day’s were.